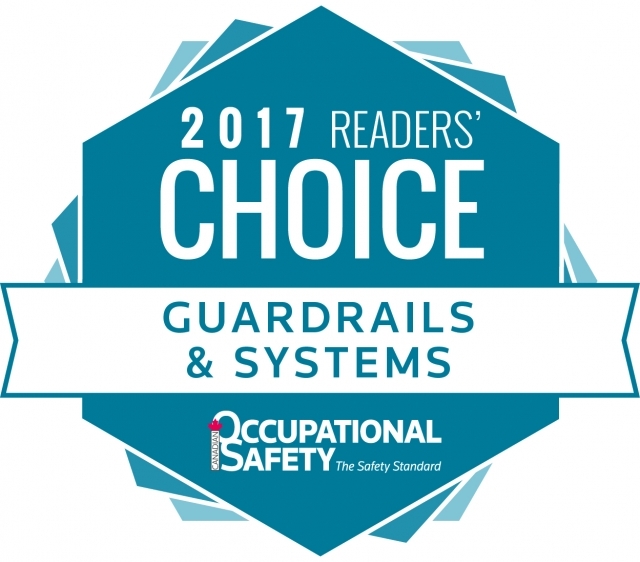 Kee Safety is proud to announce its selection as a top-rated company within the category of Fall Protection: Guardrails & Systems as voted upon by the Canadian health and safety community. Earlier this year, readers of Canadian Occupational Safety from across the country cast ballots in more than 50 categories. The engagement from the health and safety sector was phenomenal — nearly 40,000 votes were cast in total. Kee Safety is honored by this public sign of recognition and understands that the endorsement comes with an expectation of continued excellence. In our continued quest of separating people from hazards, we understand that there is still much to be done. Making Canada and the rest of North America a safer place for workers does not happen by accident. It requires the intentional focus and determination of creating a pervasive culture of safety that permeates governments and organizations from top to bottom. Our continued drive for excellence in this industry reflects our commitment to Safety as more than just an abstraction, but a tangible betterment of the North American workplace. We are thankful for this honor and hope that others will continue to accompany us on this mission of fall protection and workplace safety. The digital edition is available for viewing at http://digital.carswellmedia.com/i/855475-2017-cosreaderschoice. Contact us to learn more about Kee Safety and how we can work for you in separating people from hazards.